It's funny when a about a year ago i think, i cant remember exactly when. Blizzard was buying a domain for Diablo 3. But they insist that it does not mean there is going to be another installment of Diablo series, huh? Who would believe that? Not even a kid would fall for that. It just fueled the curiosity of the gaming community. Diablo 3 is coming. I was really excited to hear that. 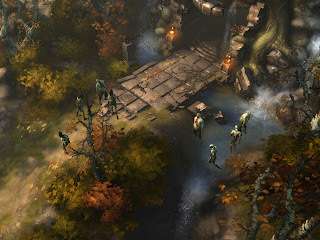 Finally, last June the first glimpse of Diablo 3 made lots of gamers wanting for more. So far three of the five classes have been unveiled: Barbarian, Witch Doctor and Wizard. The Barbarian is the only class to bring back, but the former classes will probably make a comeback in future expansions. From the screenshots above, there has been some major overhaul, specially in the graphics department. 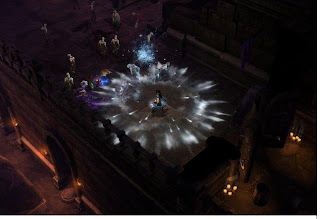 Yes, they are now in 3d, but they still retain the isometric view of the previous Diablo series. 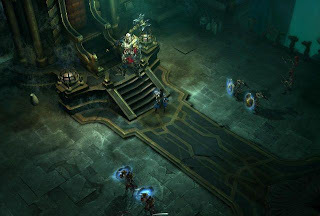 Blizzard did a good job rendering Diablo III in 3d, But i have read somewhere that many were concerned about the art style, they wanted a more darker, goth-look environment as have been experienced with the previous installment of the game. 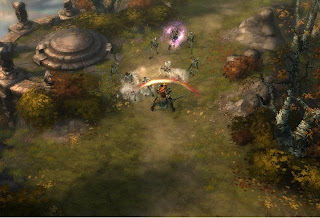 Because of this, Diablo III was criticized for the apparent resemblance to another popular game called World of WarCraft. There has been also some changes in the game play itself. Who wouldn't leave the safety of a town without stacking some potions first. Here, in Diablo III, they minimized the need for stacking potions fans of Diablo used to do. Potions will not be relied to, orbs will be collected from slain enemies to give you immediate health recharge. The release of the game is still to be announced. For the fans of Daiblo III all we can do is wait and hope that it will be another classic game from Blizzard.